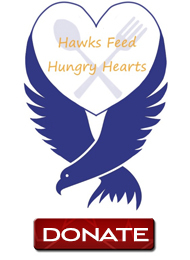 Gate proceeds and donations from the Queen City Showcase will benefit Hawks Feed Hungry Hearts. The 2019 Queen City Showcase will benefit Hawks Feed Hungry Hearts, Charlotte Latin School’s 2018-19 All-School Service Project. Hawks Feed Hungry Hearts is a focused effort to educate our community and alleviate food insecurity in the Charlotte area. Hawks Feed Hungry Hearts has partnered with Loaves & Fishes and Second Harvest Food Bank, two local agencies dedicated to providing food assistance to people in need. All monetary and (nonperishable) food donations will go to these two organizations.